WorldMovieStore - Thurgood Sinopsis. 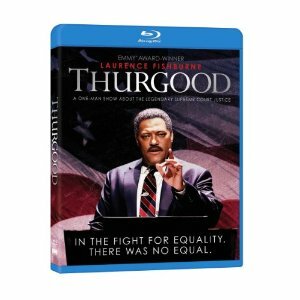 Thurgood is the dazzling fusion of Supreme Court Justice Thurgood Marshall and actor Laurence Fishburne, who demonstrates the kind of charisma he hasn't shown since playing Ike Turner in What's Love Got to Do with It? This filming of Fishburne's one-man Broadway show is half charming character portrait, half wry but galvanizing history lesson. Growing up in the era of racist Jim Crow laws, Marshall had initial ambitions to be a dentist, but constant exposure to injustice led him to the law. --Bret Fetzer. Read More Sinopsis. 0 Response to "Blu-ray Release Thurgood"